THIS SATURDAY (June 7th)! 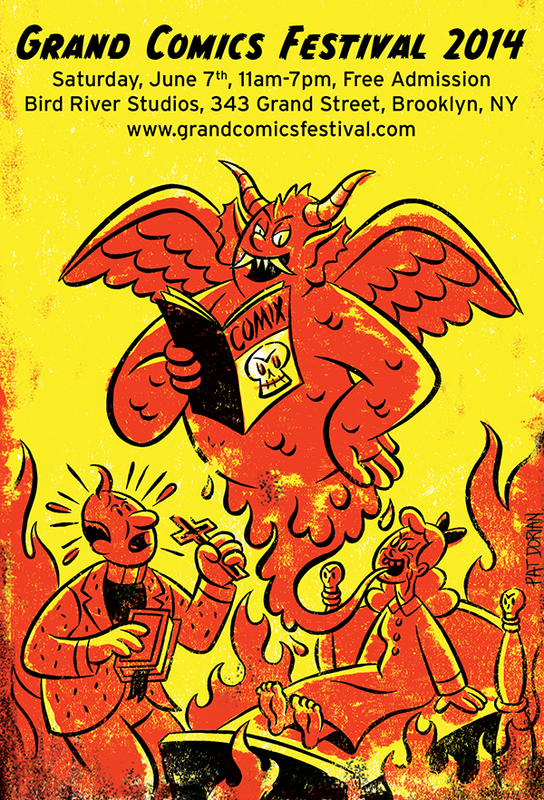 Gregory Benton & Dean Haspiel will be at the Grand Comics Festival 2014 selling B+F, Fear My Dear, and Hang Dai Editions comix. HANG DAI Editions was founded in NYC by Gregory Benton, Dean Haspiel, and Seth Kushner over their mutual dedication to comix art. The imprint focuses on limited edition comix, graphic novels, and art books, with an emphasis on personal interaction at events, conventions, and signings. This entry was posted in Uncategorized and tagged Dean Haspiel, Grand Comics Festival 2014, Gregry Benton. Bookmark the permalink.